PVC plastic cards can be used with Zebra color and monochrome printers. Zebra's Premier line of durable plastic cards enhance the print quality and image sharpness needed to produce vivid colors and detailed readable barcodes. 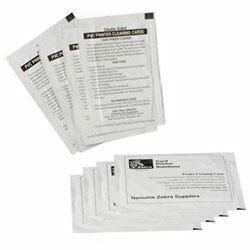 Zebra guarantees its cards to be ISO-compliant dust-free and have smooth edges. Zebra offers Premier (PVC) cards in 10 and 30 mil thickness. Zebra Premier Cards provide high quality medium flexibility and temperature durability. They are recommended for all applications requiring edge-to-edge printing. They are available with or without a magnetic stripe (LowCo or HighCo). The estimated life for Premier cards is 24 months with 3000 duty cycles. Applications for PVC cards are cards with moderate usage and controlled environments such as transit passes visitor badges identification cards and loyalty cards. The Zebra 105912-913 is also known as ZCD-105912913	or 105912913	.